Kirk here – I’m pasting in the helpful newsletter our dedicated volunteers assembled to update our supporters. If you’re interested in receiving future newsletters (we promise only to send them out occasionally), go to the contact page and sign up. As 2007 draws to a close, we at The List Project to Resettle Iraqi Allies wanted to take this opportunity to thank you again for your continued support and to update you on our recent activities. After formally launching on June 20th 2007, World Refugee Day, The List Project (TLP) formed a major partnership with law firms Holland & Knight and Proskauer Rose to advocate individually for each refugee on the list. Nearly 100 attorneys are helping each refugee on The List navigate the complicated and hellish process of seeking resettlement. It is unprecedented for refugees to be afforded this kind of extensive pro bono representation, and these firms’ commitment to the Project is profoundly appreciated. We anticipate bringing aboard even more law firms in the coming year to cope with the constantly-growing list of Iraqis who need our help. In addition to creating a legal representation service for Iraqis on The List, TLP has worked extensively with local and national media to call attention to the plight of Iraqis who are endangered by their work with the United States. 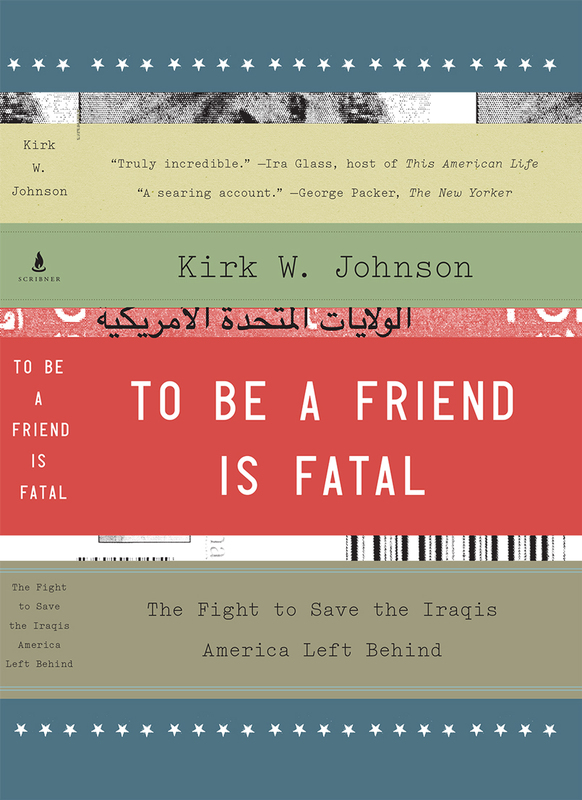 List founder Kirk Johnson has been featured on ABC World News, The New Yorker, NPR, among others, and interviewed in The Washington Post, The New York Times and The Los Angeles Times, to name a few. His opinion pieces have appeared in The New York Times and The Los Angeles Times. The List Project’s presence in new media has also been growing, with a tremendous amount of content and functionality recently added to its website, www.thelistproject.org. The site now includes an online donation function and features a regularly updated news page. The news page, or blog, compiles and analyzes the latest information from a wide variety of national and international media, as well as reports from academic and policy conferences, government meetings and announcements and stories from the refugees themselves. For Facebook users, a team of supporters recently created a List Project “facebook cause” in support of the Project. Both the site and the Facebook initiative are run entirely by volunteers who have come out of the woodwork wanting to help. Keep an eye on www.thelistproject.org as it continues to grow in the first few months of 2008. Although Congress has been trying to spur the administration into action on this critical issue, the unfortunate news is that the process of resettling refugees is horrendously slow-going. Despite pledges to admit 7,000 Iraqis last fiscal year, our government only managed 1,608. Even more worrisome, there is every indication that the administration will fail to meet its promised goal of 12,000 Iraqis this year, given the meager admission numbers thus far. Iraq’s refugee crisis remains the fastest-growing in the world, and the plight of those who tried to help the United States is ever urgent: we at the List Project personally know of several assassinations over the past few months of Iraqis working for the United States of America. The List has now snowballed to over 700 names, and new refugees are writing each hour. Thus far, approximately two dozen Iraqis from the List have made it to the U.S. and are starting new lives. Click here to hear about the first arrival, ‘Y’, who was the subject of Johnson’s Los Angeles Times op-ed. He lives with his wife at the Johnson home in Illinois with Kirk’s parents. Click here to read a story in the Houston Chronicle about another arrival from the List who was recently resettled in Texas. We hope these are only the first of many success stories..
Now as we look into 2008, The List Project is getting ready to grow even more. It is not lost on us that many of you receiving this message first contacted us many months ago and we are only now responding properly. We apologize for that, but at the moment, we are operating with a skeleton crew of four paid employees, three of them Iraqi refugees working as paralegals on the refugee cases at the law firms. While our first priority will always be the case-load of Iraqis on the List, we hope to raise the funds to hire in the coming months a grassroots coordinator to organize the hundreds of people who have written to TLP wanting to volunteer and donate. We are also raising funds to bring on more Iraqi paralegals at partnering firms and a media coordinator to handle the constant inquiries. We at The List Project have a deeply-held conviction that our operation should be no-frills; that any service already being performed effectively by another organization should not be replicated. Every dime that we raise must advocate for and assist the refugees on our list. Our hope is that our endeavor will be short-lived, and that the United States will ultimately and comprehensively honor its moral obligation to these Iraqi allies, bypass the ridiculous bureaucracy, and save these peoples’ lives en masse. Ultimately, only the President can do so, as President Clinton demonstrated by airlifting thousands of imperiled and U.S.-affiliated Iraqis to Guam in 1996 where they could be processed in safety. If The List Project lasts for several years, there won’t be many Iraqi allies left to save. We end, then, on a note of great thanks for your previous support and a request that if you or anyone you know might want to make a year-end donation to support the growth of The List Project, please visit our website and click on the button. More importantly, though, we ask that you forward this message to spread awareness on this important issue. We look forward to working with you in the coming year, as more and more Iraqi allies join us here in the US.